Science Fiction/Space Opera are in my Mixed Book Bag today. In Slow Train to Arcturus Eric Flint and Dave Freer have written science fiction at its best. Man has decided to live in space not on planets. The space around Earth is filling up and man wants to move out to the stars. The journey to new stars is made on a slow train that accelerates and does not slow down. The slow train is a series of habitats strung together like beads on a necklace. As the train approaches a system a habitat is disconnected and slows down to reach its new home in a new solar system. That takes care of the science to get from Earth (point A) to the new system (point B) but who goes and what happens in each habitat? Like the frontier of old it is the misfits that want to leave and each habitat has a different group with a reason to leave and never return. There is no communication between the habitats and as time passes strange changes take place. As the story opens the slow train is approaching a solar system where another intelligent species has developed. They decide to visit what they expect to be a dead artifact. Action and adventure, romance and drama, comedy and tragedy all result. This is a cliffhanger that keeps you reading. Pick up Slow Train to Arcturus and enjoy. 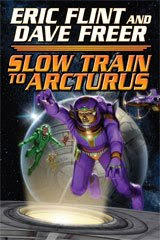 Baen published Slow Train to Arcturus in 2008. If you like to read e-Books go to the Baen web site and purchase the book there. For hardcover go to any bookstore. Science Fiction/Space Opera is in my Mixed Book Bag today. Galaxy Blues was published by ACE in 2007. This is the second book written in the Coyote Universe and joins the four books written about Coyote. It can be read as a standalone. I had read two of the books written about Coyote but even if I had not I would have had no trouble following the story in Galaxy Blues. Galaxy Blues has all the elements Space Opera. Aliens, humans who read minds, a young hero rising above the odds, and new ways to travel in space. Through in a romance (I notice that more and more Science Fiction contains a romantic element. Maybe authors are noticing that romance sells!) to spice things up and you have a great story. In Galaxy Blues as in all the Coyote books Allen Steele writes an entertaining and engaging tale. If you like science fiction/space opera be sure to read Galaxy Blues. If you have never read any of the Coyote series you can start here and keep reading. Romance/Suspense Thriller is in my Mixed Book Bag today. Resplendence Publishing released Rough Edges by Jannifer Hoffman as an eBook in February of 2009. I purchased Rough Edges from Fictionwise and read the book on my eBookwise reader. Julia Morgan M.D. just miscarried her twins, divorced her husband, and lost her job. Her sister thinks Julia needs a change of scenery and talks her into applying as a nanny for Dirk Travis a rancher is Colorado. To get the job she does not mention that she is a doctor. Julia’s ex-husband is trying to find her. Dirk has been separated from his wife for 3 years before she drops their children off at the ranch and goes missing. Both are keeping secrets. The story is old but the writing is fresh and engaging. I enjoyed following Julia and Dirk’s story. There are great supporting characters, a wonderful setting and a well thought out plot. Right now Rough Edges is available only as an eBook. You can purchase at Resplendence or Fictionwise. Science Fiction/Fantasy Romance is in my Mixed Book Bag today. I added Sharon Shinn to my list of authors to read after hearing her on panels at ARCON in 2007 and WORLDCON in 2008. If I had to use one word to convey my impression of Sharon it would be delightful. I hoped her books would match my impression of her personality. I picked up Angel-Seeker on a recent trip to the library. It is the second novel in the Samaria series and the first Sharon Shinn book I have read. I was not disappointed. There is romance and adventure, well-developed characters, good world-building, and an engaging plot. There is a strong fantasy element with just the hint of Science Fiction. The people of Samaria know they arrived from somewhere else 500 years ago. There are humans, angels and Jovah. The angels are humans with wings who can sing to Jovah (fantasy) and bring down the things from the sky that humans and angels need (science fiction). Angel-Seeker tells the story of two different women Elizabeth and Rebekah and the men they find to love. Their journeys are separate and difficult but in the end their paths intertwine. While this is part of a series it reads well as a standalone. If you are looking for a new author pick up a Sharon Shinn book. I wasn’t disappointed and I don’t think you will be either. Angel-Seeker was published by ACE in 2004. Mystery is on top of my Mixed Book Bag today. 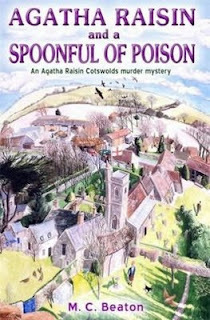 In A Spoonful of Poison Agatha Raisin is in top form. Chasing off after another man, letting her petty jealousies affect her judgment, and trying to move past her insecurities gets her into a lot of trouble. You can’t help but love and identify with Agatha. Which of us have never suffered from some of the same strengths and weaknesses that keep this series interesting. One of the great things about the Agatha Raisin mysteries is the small amount of growth and change she shows from book to book. That change keeps the action unpredictable. This is the 19th Agatha Raisin Mystery. All are set in a small village in the Cotswold’s where Agatha purchased a cottage after selling her successful London business. While each book can be read as a stand-alone the series would be more enjoyable by starting with Agatha Raisin and the Quiche of Death. If you have started reading the series be sure to get A Spoonful of Poison. If not start at the beginning and enjoy 19 great reads. St. Martin’s Minotaur published A Spoonful of Poison in 2008. According to the book jacket M.C. Beaton divides her time between Paris and the Cotswold’s. That is a tough life but someone has to do it. My Mixed Book Bag has several Futuristic Romances. 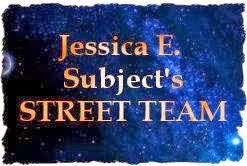 Looking for futuristic romances? Go to the Paranormal Romance web site and check out the five 2008 P.E.A.R.L (Paranormal Excellence Award for Romantic Literature) finalists in the Futuristic Romance category. Hidden by Eve Kenin – After reading Driven by Eve Kenin (I loved the book) I put Hidden on reserve at the library. I will post about the book after I read it. Countdown by Michelle Maddox – This is one I had to put on my Amazon wish list. I checked my local books stores and it was out of stock. Heart Fate by Robin Owens – Read my November 9th post. This was a post about Heart Duel. Any of Robin’s Heart books are worth reading. I won Heart Fate and enjoyed it immensely. She does have a new Heart book coming out soon. Still looking for new books. There are 10 P.E.A.R.L. Award categories. Check out all 10. You are sure to find something new to read. I wrote this a week ago and scheduled it for publication today. Yesterday the winners were chosen. Go to the Paranormal Romance web site and see the who won. Today a combination of Mystery and Science Fiction is in my Mixed Book Bag. I just finished Duplicate Effort by Kristine Kathryn Rusch. Published by Roc in February 2009 this is the latest Retrieval Artist novel. Duplicate Effort continues the story of Miles Flint a former computer operator and police officer who now works as a Retrieval agent. The series is set on the moon where humans and aliens mix. There is an agreement that anyone who violates the law of any species will be turned over and punished by that species according to their law. Many times the punishment does not fit the crime and people pay to disappear to avoid alien justice. A Retrieval Artist is paid to find the Disappeared when events bring a change in their status. The series is a blend of Mystery and Science Fiction. The Retrieval Artist novels are full of twists and turns, great characters, and believable action. You should read the series in order. The Disappeared is the first book in the series and sets the stage for the rest. Be prepared for great stories full of surprises. I have enjoyed every book in the series and hope there will be more. All of the books are available at Amazon and Fictionwise. Check out the other books on Kristine Kathryn Rusch’s web site. She writes under several names. Paranormal Romance is in my Mixed Book Bag today. Most of you know that Jayne Ann Krentz writes as Jayne Castle and Amanda Quick. When I read Dark Light (see review) by Jayne Castle there was a mention of the Arcane Society. Jayne Ann Krentz has written several books about the Arcane Society and I decided to check one out the next time I went to the library. I ended up checking out two. The first is Second Sight by Amanda Quick and the second is Sizzle and Burn by Jayne Ann Krentz. Second Sight is a paranormal historical romance that details the early days of the Arcane Society. Sizzle and Burn by Jayne Ann Krentz is a paranormal romance set in modern times. Although this is a series each book can stand-alone. Each book contains a mystery that requires two people with paranormal powers to work together. Of course one is male and the other is female. If you like paranormal romance pick up one of the Arcane Society novels and settle down for an enjoyable read. The books are published by Putnam. My Science Fiction Book Club selected Hawksbill Station to discuss at our February meeting. If any of you have a book club that discusses Science Fiction this is a good book to read and discuss. 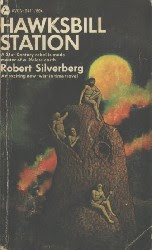 Robert Silverberg wrote Hawksbill Station in 1967. It was originally published in Galaxy Magazine and was expanded and published as a book in 1968. It is out of print. Hawksbill Station is located 1 billion years in the past and is the dumping ground for political prisoners. The trip is one way. Silverberg set the political scene 40+ years from 1967. The political views portrayed in the story were surprisingly relevant. Move the dates to 40+ years from today and you would not know when the story was written. If you run across a copy of Hawksbill Station pick it up to read. It is a very short book, only 147 pages. Send me a comment after you finish. I would like to know what you think of the book. Parallel History was on top of my Mixed Book Bag today. Taylor Anderson has written a World War II alternate history with a riveting twist. Published by Roc in 2008 Into the Storm just came out in paperback. The Walker is a vintage World War I destroyer that is still on duty in the Pacific at the start of World War II. On the run after losing the battle with an overwhelming Japanese force Captain Matthew Reddy sails the destroyer into a squall hoping to escape certain destruction. When the Walker emerges from the squall the crew finds that the earth is different. The geography is the same but the inhabits are not. Humans did not evolve here. Instead there are two different races locked in a war and the Walker must decide which side to support. Taylor Anderson has recreated a historically accurate picture of the Navy and ships at the beginning of World War II and placed the ships and men in a fascinating alternate world. The vivid picture of the Walker and the world she arrives in will draw you into the story. After reading Into the Storm I immediately ordered Crusade and Maelstrom the next two books in the series. I found both on Amazon. I think the series has something for everyone. There is parallel history, military history, adventure, fantasy and just good reading. I strongly recommend Into the Storm. Space Opera is on top of my Mixed Book Bag today. In Stellar Ranger: Lone Star Steve Perry wrote a western in space. Published by Avon in 1995 the book is no longer in print but can be purchased used at Amazon. I picked it up at a library book sale. Cinch Carston, Stellar Ranger arrives on the planet Mtizito at the request of the governor. There are rebels that need to be rounded up and stopped. It does not take long for Cinch to realize that nothing is as it seems. Cinch is the lone hero against the establishment. The Governor underestimates what Cinch can do. The rebels contact Cinch and paint a different picture. Action and adventure follow. This is a good old-fashioned read. If you run across Stellar Ranger: Lone Star pick it up and enjoy. Published by Tor in 2006 Horizons ended up near the bottom of my to be read pile. After I finished reading it I wondered how it kept from floating to the top. Mary Rosenblum is the author of Horizons. 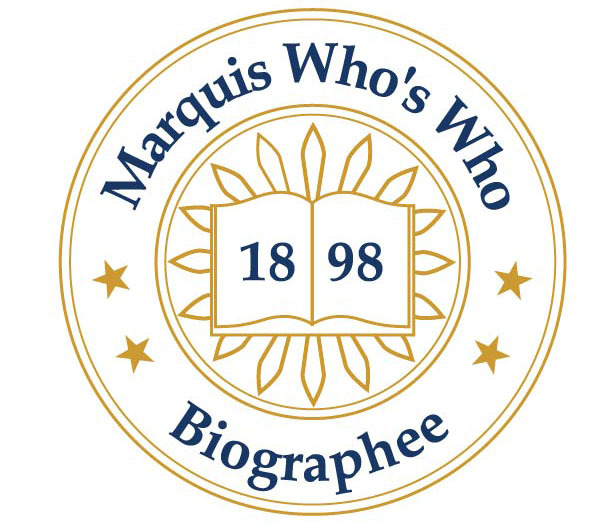 I visited Mary’s web site and found that we had some things in common. Both of us found Science Fiction as young girls and we had the same problem with the early Science Fiction books. There were no women in the stories. She and I both rewrote the stories in our head adding women to the mix. Mary continued to write and in her writing has created some great female protagonists. I continued to read and love the fact that there are Science Fiction stories with strong women. Horizons has one of those strong women. Ahni Huang is part of one of the leading families on Earth. She takes an elevator to one of the platforms high above Earth and makes a several startling discoveries. On a personal level she finds her family is not what she believes. While one New York Up she discovers life in micro-gravity is changing humans. Both discoveries impact the future of her family and the continued existence of the Platforms. Be prepared for surprises, treachery, adventure, romance, and a look at what the human race could become. Filled with well written characters Horizons is a very good read. Are you old enough to remember the old Ace double Science Fiction books? They provided two stories for the price of one. Yard Dog Press has a series that does the same. Called Double Dog each book has two novella size stories. Just like the Ace doubles you hold the book one way to get the first story then turn it over and around and you read the next. 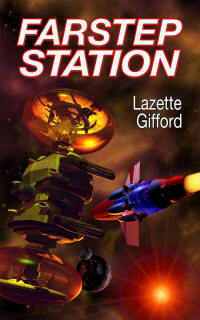 Farstep Station by Lazette Gifford is one of the stories in Double Dog #3. Yard Dog Press published the book in 2006. The cover art and the story are true to the old Ace books. Farstep Station is on the edge of human space. Never completed because of a war between different factions the station carries a minimum crew and a lot of secrets. Desmond Montaigne is the new commander. Upon arrival at the station he finds things are not as he was told. There are “ghosts” on station, a civilian section that is suppose to be empty but is not, military trying to hide information, and Desmond’s father making unauthorized visits. All this is a set up for a good space opera tale. One note that I have to mention. This side of the book looks like it was not edited or proofed before it went to press. I have read several Yard Dog Press books and this is first time I have seen sloppy proofing and editing. I have to wonder if the uncorrected copy got sent to press instead of the corrected copy. The errors are distracting but I enjoyed the story enough to recommend it for reading. The other side of the book is Home is the Hunter. There are none of the editing or proofing errors in that story. It is also a good read. My Mixed Book Bag has Space Opera today. H Beam Piper published his first Science Fiction story in 1948 and continued to write and publish until his death in 1964. Space Viking was published as a serial in Analog in 1963. The copyright has expired on the book and it is available free on Gutenberg as are all of Piper’s books. Many of the books have also been republished in paperback. I picked Space Viking up at library book sale. This edition was published by Cosmos Books and looks to be fairly recent. Piper wrote adventure mixed with the lessons of history. Space Viking has quite a bit of commentary on government and why it fails. His comments are as relevant today as they were in the 1960’ when he wrote the book. This is space opera full of action and adventure and all political comments are skillfully woven into the story line. It makes for an enjoyable fun read. The book suffers in one regard. Women have little or no significant role in the story. As this was true of most Science Fiction written in the 1960’s I just overlooked the lack and enjoyed the story. Pick up Space Viking and follow Lucas Trask as he starts out to avenge his wife’s murder and ends up founding and ruling a new star nation. Science Fiction Romance is on top of my Mixed Book Bag today. A Roll of the Dice by Catherine Asaro was first published July 2000 in Analog. The novella is set in the universe of the Skolian Imperialate /Eubian Traders and is the side story of Jeremiah Coltman who we met in the Ruby Dice. There are currently 12 books and several side stories in this popular series. I have read the books in this series, but have had trouble finding the side stories. Thanks to Catherine Asaro’s web site and Fictionwise I now have found and read most. You can read two of the stories free on Catherine’s web site and purchase A Roll of the Dice on Fictionwise. Watch for new stories in Analog. Catherine writes both fantasy and science fiction. If you are looking for a new author who writes Science Fiction Romance give her books a try. Science Fiction is what I found in my Mixed Book Bag today. I can’t imagine anyone who reads Science Fiction not recognizing the name David Weber. David is the author of the best selling Honor Harrington series. Off Armageddon Reef published by Tor in 2007 is the first book in a new series. This universe is very different from others created by David Weber. Humans have run into a group of aliens who can find and wipe out any species that possess high technology. In an effort to survive several groups run and attempt to hide. One group arrives on Safehold and the leaders set up The Church of God Awaiting to control the use of any technology that would betray human presence. All memory is wiped from the colonists who awaken knowing only that they must follow Church proscribed laws. These laws keep allowed technology at the wind and waterpower level. After 800 years the cybernetic avatar of Nimue Alban awakens and realizes that the enforced ignorance of the people must be changed. Women in this society have little power so she takes a male form and arrives in Charis, the most freethinking of the kingdoms on Safehold. Taking the name Merlin she sets about to help with the change needed. The book is filled with wonderful characters, great action and suspense. Nothing is black and white. People change sides, alliances come and go, and the plot continues to build. Off Armageddon Reef is the first book in this series. The second, By Schism Rent Asunder was published in 2008. The third By Heresies Distressed is due out in July of 2009. Read Off Armageddon Reef and enjoy a great new series by David Weber. Today my Mixed Book Bag has a Regency Romance. The Counterfeit Countess is a short fun read. Francis, Lord Surby is astounded when Rosalind Fallows arrived in London claiming to be the widow of his cousin Thomas. He threatens to ruin her if she pursues her claim but she outwits him. Forced to acknowledge her as a member of the family the action heats up quickly. Francis (Frank to his friends) and Rosalind are engaging characters that are like oil and water. They don’t mix but the attraction is there. This leads to a well-written book full of snappy dialogue, laughter, suspense, misunderstanding, and action. There are great supporting characters that help to move the story along. Kay Furness has written an enjoyable and entertaining Regence Romance. Buy and enjoy. Awe-Struck E-Books published The Counterfeit Countess in 2009. Ii is available only as an e-Book. I purchased at Fictionwise. It is also available at Awe-Struck E-Books and Amazon. Kay Furness has published one other Regency Romance, The Reluctant Petruchio. Harlequin is celebrating 60 years of pure reading pleasure by giving away 16 full free eBooks. Go to their website to check it out. Most are also available at Fictionwise and eBookwise for free download. Harlequin does not say how long this offer will be good so don't wait to download. You can also read the books without downloading if you wish. Just click on the book you want and enjoy your reading. Today my Mixed Book Bag has a Romance/Mystery. Wild Rose Press published Her Sanctuary in 2008. Toni Anderson has written a book with drama, action, twists, turns and of course romance. Elizabeth Ward is an FBI agent on the run. She was moved from Art Fraud to Major Crimes to help close down a mob group. She is betrayed by her fellow Major Crimes colleagues and has to run for her life. She arrives at the Triple H Ranch in Montana in early April and finds a place she can call home. The Triple H Ranch has been in Nat Sullivan’s family for generations. He is trying to hold on to the land. He is attracted to Elizabeth but does not understand many of her reactions. Elizabeth needs to stay hidden to stay alive and does not need the complication Nat represents. This provides a lot of room for an edge of your seat story. Once you start you will have trouble putting it down. There is also a hook for what I hope is the next story in what appears to be a series. There are several supporting characters that are ripe for their own story. I will really be disappointed if at least two do not have their own book. This is the first book Toni Anderson has published. Currently Her Sanctuary is only available as an eBook. It will be released in paper in March. I purchased the eBook version from Fictionwise. It is also available from Amazon and Wild Rose Press. Buy and read. You won’t be disappointed.